Stan Jolley lived as he passed, telling stories, “kibitzing” with friends and family and sharing his competitive spirit that both challenged and charmed those who knew him. One thing is for sure, Stan will always be remembered as a vibrant and engaging character. He was a fighter to the very end. Born in New York City, to Broadway theatre artists Emily and I. Stanford Jolley, Stan had “show-business” fever from the start. His father I. Stanford’s passion for acting grew from early experiences of being in his own father’s small traveling circus during the turn of the century. I. Stanford and Emily moved their family across the country to Hollywood, California in the 1930’s to find opportunities in the film business. Once I. Stanford became established as a character actor, the family settled, and the film-entertainment business became a way of life for them all. Stan had many fond memories of growing up on film locations watching his father’s acting and older sister Sandra perform as an Earl Carroll Dancer. In 1946, after serving honorably in WWII in the U.S. Navy, Stan went to work as an apprentice set designer for Warner Bros. Studio while attending college, eventually receiving a degree in Industrial Design from USC’s School of Architecture in 1951. While working as a senior set designer at 20th Century Fox, Stan was recruited 1953 by the great artistic talent, Herb Ryman, to work for Disney Studios. He was forever grateful for that life changing opportunity. Stan began a distinguished career working for Walt Disney in film, animation and design development for parts of Disney's first theme park in Anaheim – Disneyland. As part of the original Disneyland design team, he worked on various projects including the Golden Horseshoe saloon in Frontierland, the Autopia ride in Tomorrowland, the Storybook Land Canal Boats attraction and interiors of Sleeping Beauty Castle in Fantasyland. Stan art directed featurettes for "Walt Disney's Wonderful World of Color" and "Walt Disney Presents." At Walt Disney Studios, Stan helped design the western street on the studio's back lot for such features as Disney's "Elfego Baca" mini-series. His first feature film was "Toby Tyler." Stan was the art director for the animated-short "Donald in Mathmagic Land" which was nominated for an Academy Award (Best Documentary-Short Subjects). In 1960, after seven years with Disney, Stan moved on to develop his skills as a production designer, feature producer and director for television and film at major studios such as MGM and Warner Bros.
Stan’s most memorable film credits as a production designer include: “Caddy Shack”, “Taps”, “Walking Tall”, “Lawman”, “Cattle Annie & Little Britches”, “The Good Mother” and “Witness” for which he received an Oscar nomination for production design. Stan’s children would like to thank the many folks who visited and helped him over these past few years, including the special women in his life Nancy, Jamie, Beverley, and their families. Als,o a special thank you to Brian Warner and Dan Cunningham. Mr. Jolley is survived by his daughters, Karen Nauyokas, Christina Cortes, and two beautiful granddaughters that he was so very proud of, Alex and Kelly Cortes, who will always remember him as “Poppy." Stan’s immediate family will be holding a private service in his honor. 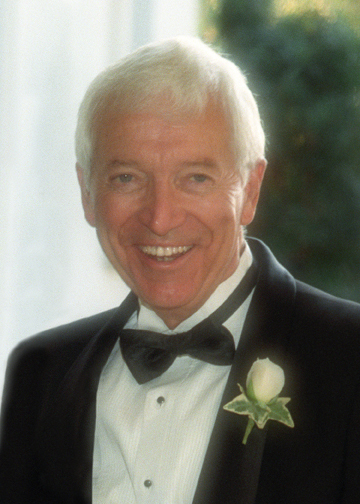 In lieu of flowers the family requests a donation be sent to the USC School of Cinematic Arts – Student Support Scholarship Fund in the name of “Stan Jolley.” Please send direct donations to: University of Southern California, 3551 Truesdale Pkwy., AT&T Center, Los Angeles CA 90089. You may also contact Iyoni Rice at (213) 740-7500, or email to irice@usc.edu for more information.